Wholesale Trader of a wide range of products which include gps tracking software, gps software and protrack gps tracking software realtime monitoring. Protrack is a professional Web-based GPS tracking software. A lot of customers from all over the world are using this software to provide live tracking service to their clients, it is stable enough with rich functions based on ali cloud server. The client can build your tracking platform with their own domain names, company names, logos, contact emails,languages and other customize information. The end user customers don't even clarify where this software is from. 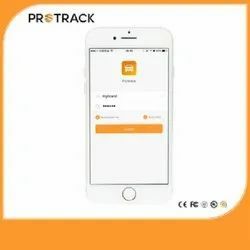 Protrack can create multi-user accounts, the first level account is able to create sub-account to each users, so it is very to control the access right and fleet management details. Protrack offer flexible register servie, client can add and active the devices by themselves at any time. Also White Label and customise Domain available for delar and 24*7 services. Looking for GPS Tracking Software ?